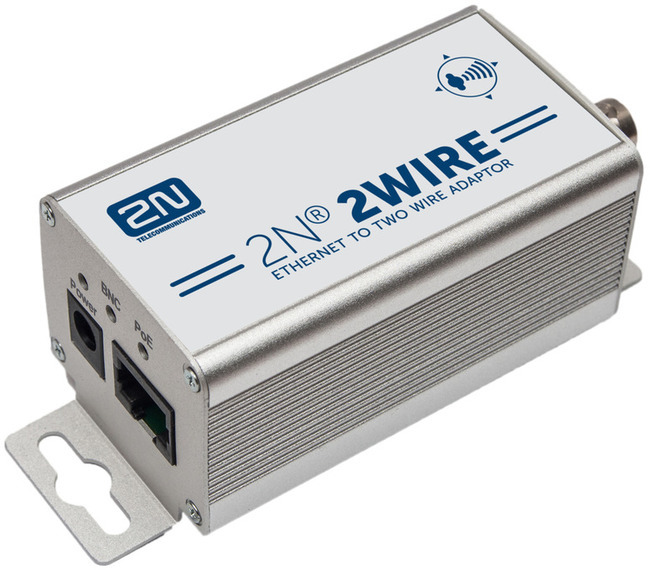 The 2N® 2Wire allows the connection of the 2N range of IP intercoms in an analogue environment or a place with limited IP infrastructure. This solution means you don’t have to lay new cables or make any other building alterations and is very simple to install. The 2N® 2Wire converter allows you to use existing wiring (2 wires) from your original door bell or door intercom to connect any IP device. You don't have to configure anything, and you only need one 2N® 2Wire unit at each end of the cable and a power source connected to at least one of these units. 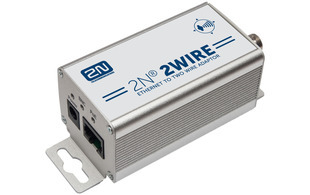 The 2N® 2Wire unit then provides PoE power not only to the second converter, but also to all other connected IP end devices.